When approaching cold and flu season, one of the most valuable oils to have on hand to combat the effects of sickness is Tea Tree Oil. Grown in the north east part of New South Wales, Australia, this wonderful oil has so many attributes that it can be considered a “cure-all”. Knowledge of Melaleuca alterniflora was brought to the West and named Tea Tree by Captain Cook in the 1770’s when he went exploring Australia. The story goes that when criminals were sent to the penal colonies in Australia, they arrived sick having been on the seas for months. 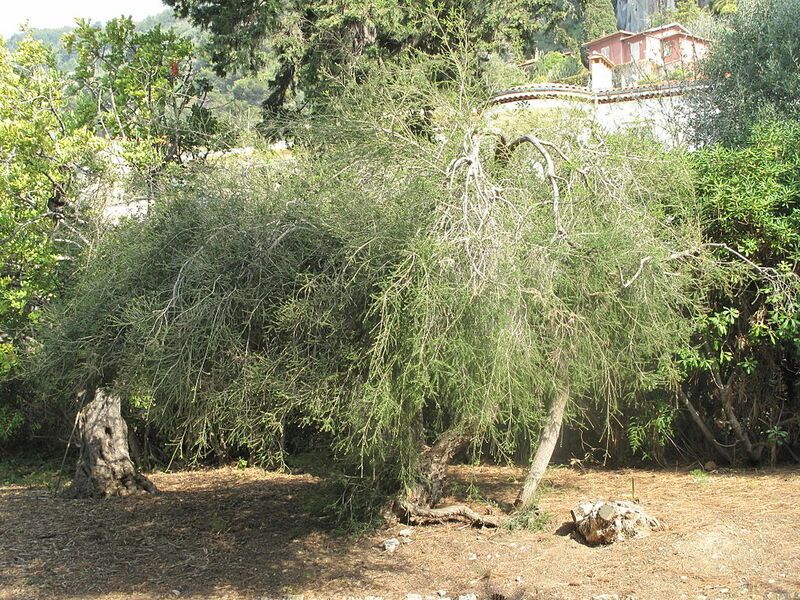 The leaves of this tree look very similar to the tea leaves that the English were so used to drinking, so they made up a brew of the melaleuca and found that the sick prisoners became cured. The healing qualities of tea tree had been known to the Aborigines for centuries. They would make poultices of the leaves, cover it with mud and apply the poultice to cuts to help draw out the infection. Most of the early English settlers used the local herbal remedies of the Aborigines to heal, as traditional medicine was non-existent out in the bush. Tea Tree oil is steam distilled from the leaves and a one hundred pound bundle of leaves produces one pound of essential oil. This tree is currently being cultivated in large plantations in New South Wales, where the swampy ground and heat is perfect for abundant yield. 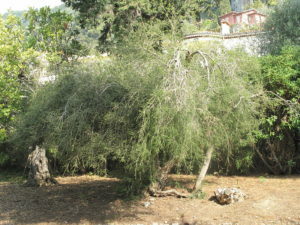 Every year the leaves are stripped from the tree and the branches pruned back allowing new growth the following spring. One tree can be harvested for up to 60 years. As for the healing qualities of Tea Tree, this essential oil can be used for most viral and bacterial infections. Used ‘neat’ on the skin, it helps with acne, eczema, boils, warts and fungal conditions such as athlete’s foot and toe nail infections. Added to shampoo, it helps alleviate dandruff and minor scalp irritations. Added to skin creams it aids sunburn and skin rashes, including diaper rash. It can be put directly on bee stings and mosquito bites to reduce swelling and itching as well as directly on burns to reduce inflammation and pain. For colds, tea tree is excellent as a gargle to kill the rhinoviruses at the back of the throat. It has a mildly anesthetic property that helps dispel the pain and discomfort of a sore throat. It can also be inhaled or vaporized to combat sinus problems and congestion. When used in a vaporizer, it cleanses the respiratory tract as well as purifies the air of harmful germs. Tea tree is 4 to 5 times stronger than most household disinfectants and can be used in a cleaning solution to fight infectious germs and sterilize the environment. Tea tree can also be used for candidacies and vaginal thrush. Used in a douche, it can relieve minor itching and burning and reduce discharge. For fungal foot infections and disease, it can relieve pain and irritation and also reduce foot odor. This essential oil is a stimulant and can help to focus the mind, bringing clarity of thought. It has an up lifting quality and is wonderful in the bath as a quick pick-me-up. Because of its anti-bacterial and antiseptic quality, everyone should have a bottle of it in their medicine cabinet.